Lateral elbow pain is the most common site of pain on the elbow; however alternative diagnosis aside from tennis elbow must be considered. 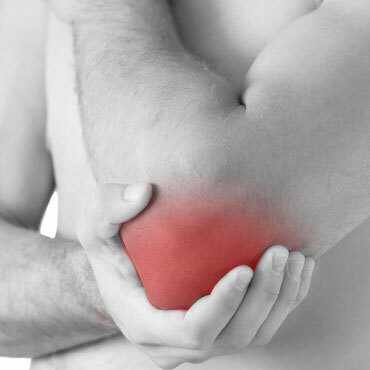 Tendonitis The best known elbow injuries have to be tennis elbow and golfers elbow. These are simple tendon injuries that can be very complex to resolve. Physiotherapy can play an important role in treating and guiding strengthening in the management of these injuries. Biceps tendonitis near the elbow can result from overuse, as can triceps tendonitis. Fractures Because it is a stable joint, most injuries result from trauma – a fall. X-rays must be done if a fracture is in question. Ligament sprains A fall or repetitive strain, like explosive throwing, can result in ligament injuries especially in hypermobile individuals. Bursitis is often a visible swelling at the back of the joint.